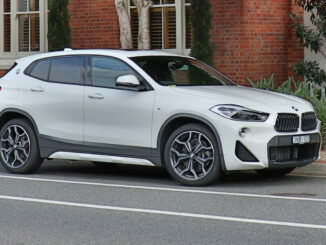 HomeArticlesWhich 5 Seat cars will fit 3 child seats across the back row? There are many five-seater cars on the market today that have three top tether points across the rear seats. So you would presume you would be able to fit three child seats across the rear seats, but as I have found in my testing this is not the case! The main reasons I find are either the cars simply aren't wide enough, or the rear seat bases aren't wide enough or the seat bases or backs are too sculpted for three child seats to fit! 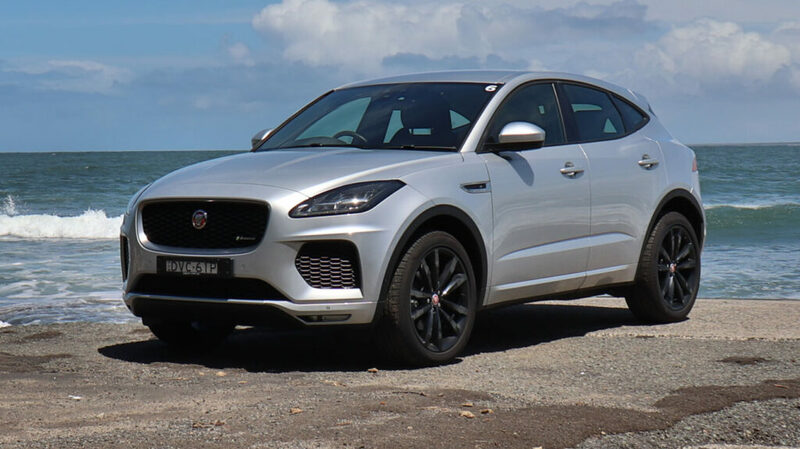 In the back of the 2018 Jaguar E-Pace, the seats are comfortable and deceptively spacious and I found I could fit three child seats in there! I wasn't expecting it at all! I wouldn't have fitted three big forward-facing child seats alongside each other but I found the combination of two forward facing and one rear facing did work. With just two child seats installed in the outer seats then it was less crowded with a nice amount of space around the child seats. There are three top tethers in the seat backs that are easily accessible through the boot and within clearly labelled, plastic guides. The ISOFix points are in the two outer rear seats, they are within plastic guides and I found the plastic guides made them a bit tricky to connect to. Although the E-Pace is a small SUV, a 180cm passenger could just sit in front of a rear-facing child seat installed in the back. 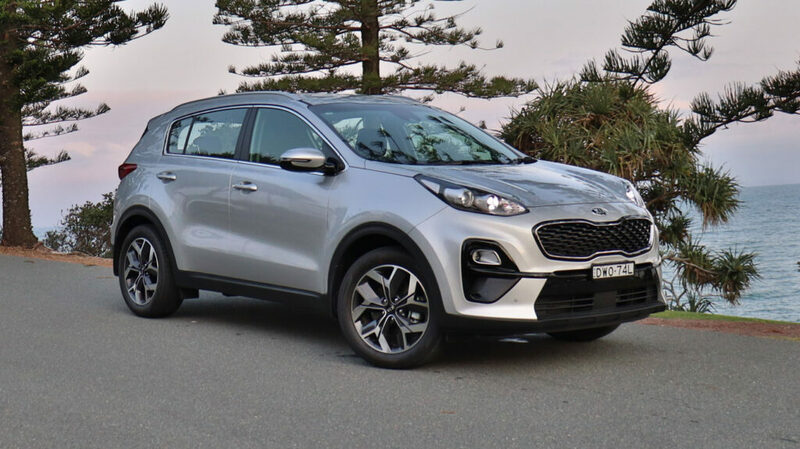 The 2018 Kia Sportage fitted three child seats in the back seats, there are ISOFix in the two outer rear seats, they are not within plastic guides but I found they were still easy to connect to. There are three top tether anchor points situated in the seatbacks that are accessible through the boot, although I did find the retractable roller blind sat so close to the seat backs I couldn't post the top tether clip through without bringing the seatbacks forward. Surprisingly I could just fit three child seats into the rear of the Sportage! I had to use the seatbelts rather than the ISOFix for the Britax Maxi Guard Pro and Graphene in the outer seats as well as for the Britax Kid Guard Pro in the central seat. It was much more spacious with just the two outer child seats installed. Legroom is surprisingly good in the cabin! In front of the rear facing child seat, there is 28cm of knee-room for the front passenger. 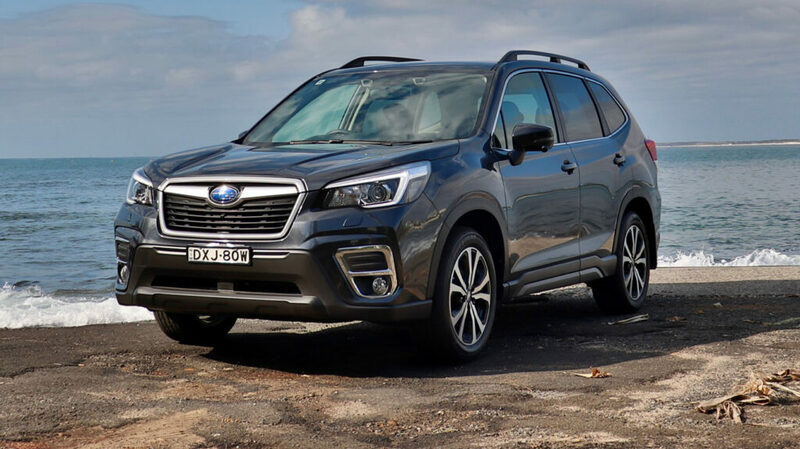 The 2019 Subaru Forester fitted three child seats easily in the back seats, I installed the Britax Maxi Guard Pro in the central seat, with the rear-facing Britax Graphene on one side and Britax Unity infant capsule on the other side. There are three top tethers in the seat backs that are easily accessible through the boot and within clearly labelled, plastic guides. The ISOFix are in the two outer rear seats, and although they are not within plastic guides I still found them easy to connect to. The ISOFix points are concealed behind flaps of seat fabric, stuck down with velcro which for me is the weakest link in the whole car! I think over time the velcro will collect dust, fluff and food and will also easily get caught on clothes and ruin them. With rear-facing child seats installed, the legroom was still really good in the front and a 184cm passenger could still sit in front of them. 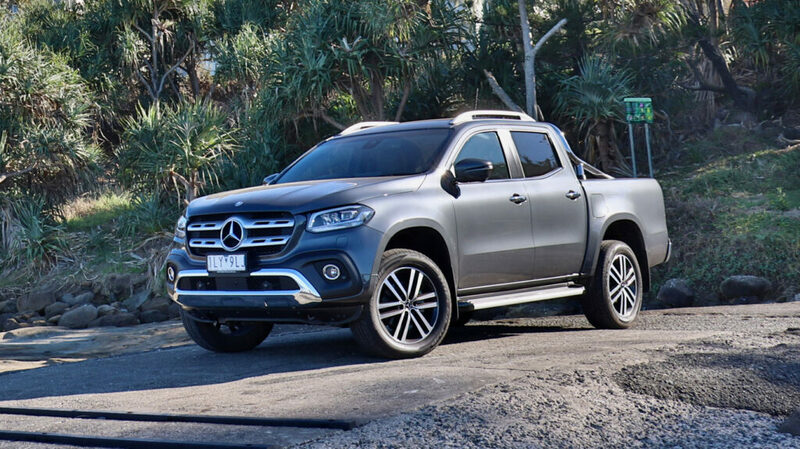 The rear seat is nice and flat and wide in the Mercedes Benz X-Class Ute and there was room for three child seats across the back row. There is ISOFix in the two outer seats, all within plastic guides and nice and easy to connect to. There are top tether anchor loops on all three second-row seats, between the headrest prongs. 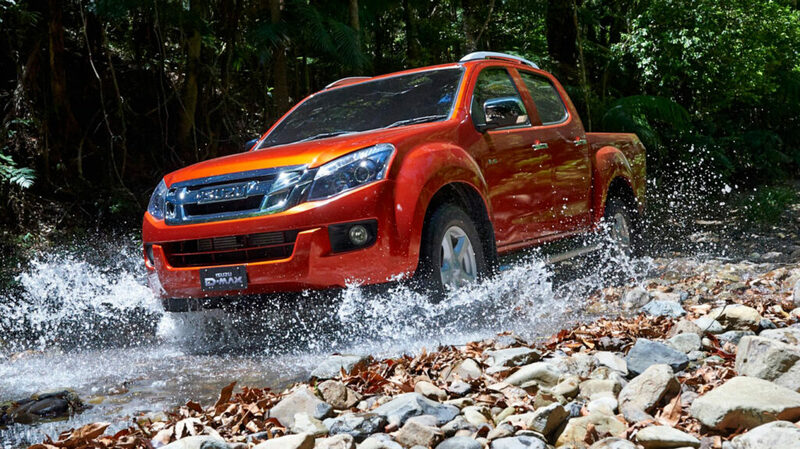 They are woven loops rather than metal bars, just like in the Nissan Navara. I found these EXTREMELY difficult to connect to as you have to post the top tether strap through the loop on the chair you are putting the child seat in and then across to the loop on the seat to the left or right of it and attach the clip on there. It was difficult not only to get the straps through the loops but then to attach them and to tighten the top tether strap to the required amount in such a small space, especially once more than one child seat is installed! 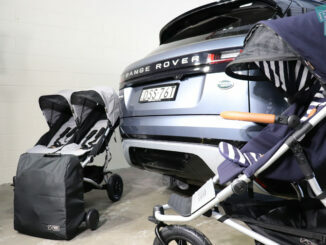 These woven loops are a bit of a grey area and it is uncertain if they are safety tested to hold three child seats. I installed the Britax Platinum and Kid Guard Pro forward facing using seat belts and the Britax Graphene rear facing, using the ISOFix. Again, it is worth bearing in mind the top tether woven loops are a bit of a grey area and it is uncertain if they are tested to hold three child seats. When I tested the Nissan Navara that has an almost identical top tether setup, it was almost impossible to get a straight answer from Nissan about whether it was OK to install three seats or not. Very surprisingly I could fit three child seats in the back of the Mazda6! I wasn't expecting them to fit looking at the seat space but I managed to fit the rear-facing Britax Graphene, the Maxi-Guard Pro and the Kid Guard Pro too! There are three top tethers across the fixed parcel shelf in the back, which are within plastic guides but because of their position, as well as the ceiling and the back window being so low, they are REALLY tricky to access and connect to. They are even harder to disconnect. There are ISOFix points in the two outer rear seats, they are within plastic guides and relatively easy to connect to. With a rear-facing child seat in the back, I had a good amount of legroom in the front passenger seat too (I'm 162cm). The main difficulty is posting bub into their seats, as the low roofline is just hard work; I hit my head and my daughter's head on it many times! 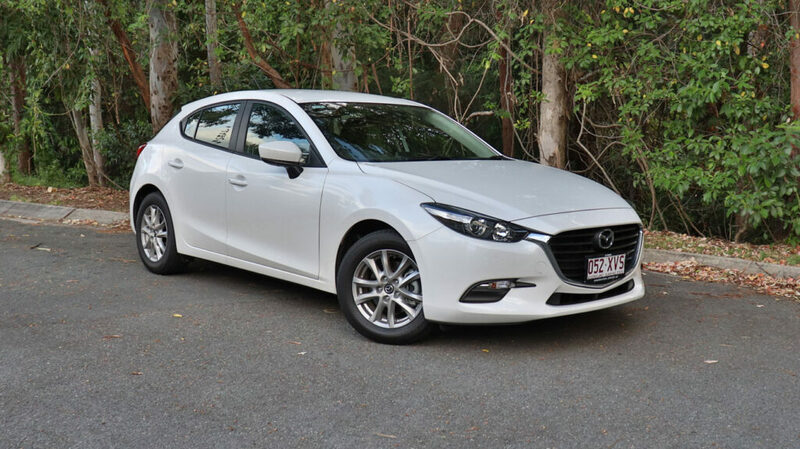 Although space inside the Mazda3 is cramped and legroom was a serious problem for us as a family, I managed to install two rear-facing child seats, the Britax Unity infant capsule and the Britax Graphene, in the two outer seats. The rear seat base is quite shaped and I found this prevented me from fitting a third, forward-facing, seat in the middle of them. I did find, however, that if I only installed the Britax Unity infant capsule rear-facing, I could fit two forward-facing child seats alongside it (the Britax Kid Guard Pro and Maxi Guard Pro). With a rear-facing child seat installed behind the driver's seat, I found I could sit in the driver's seat but I am only 164cm, and anyone taller would really have trouble!! There are ISO Fix in both the two outer seats. They are white bars between the seat base and back, and although they are not within plastic guides their white colour made them really easy to find which was great! The top tethers are across all three rear seat backs and are easily accessible through the boot. They are not labelled but they are easy to connect to. There is a lot of leg room in the Toyota Corolla. We managed to install three child seats: A Mountain Buggy Protect infant capsule and Infasecure Kompressor 4 (both rear-facing) in the outer seats and an Infasecure Foldaway booster seat in the middle with enough legroom in front for a 184cm driver. 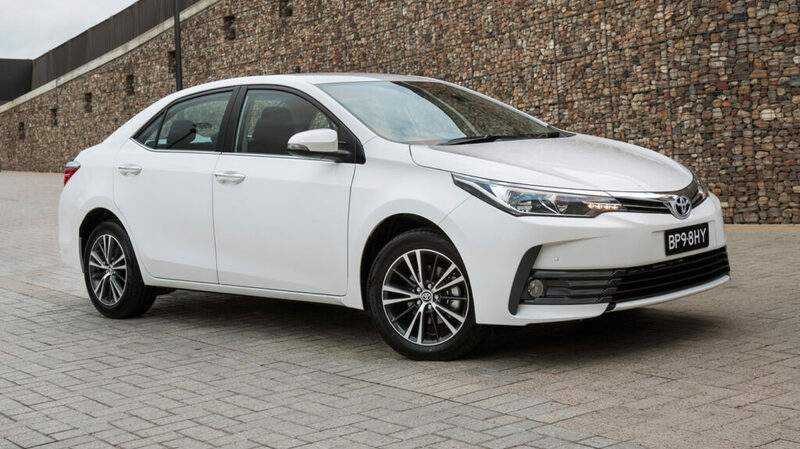 There are two ISO Fix points, one in each of the outer rear seats, and three top tether points situated in the parcel shelf behind each rear headrest. I easily fitted three child seats across the back row of seats in the Isuzu D-Max, but there is no ISO Fix at all, which is a serious downside. The backrest comes forward as one complete panel where there are three top tether points on the bodywork of the cab. Having one continuous backrest makes fitting, and removing, three child seats a little more difficult as you have to attach or release all the top tethers at the same time, click the backrest back in to place and then attach or undo the seat belts. Three child seats fit really comfortably along the back row and the seatbelt clips were really well positioned. I don’t know if it is because there is no IsoFix that there is more flexibility in the position of the child seats and that’s why they fit so well? I found there were no difficult to access seatbelt clips underneath the child seat bases, they all seemed perfectly positioned which rarely happens in cars I have driven. It makes it really easy for the child in the middle booster seat to do up their own seatbelt, unlike in most cars I have tested where the seatbelt clip is underneath the booster seat making it impossible for them to access! The seatbelt comes from the shoulder on the backrest, not the ceiling which is preferable so it doesn’t cut into the child’s neck. 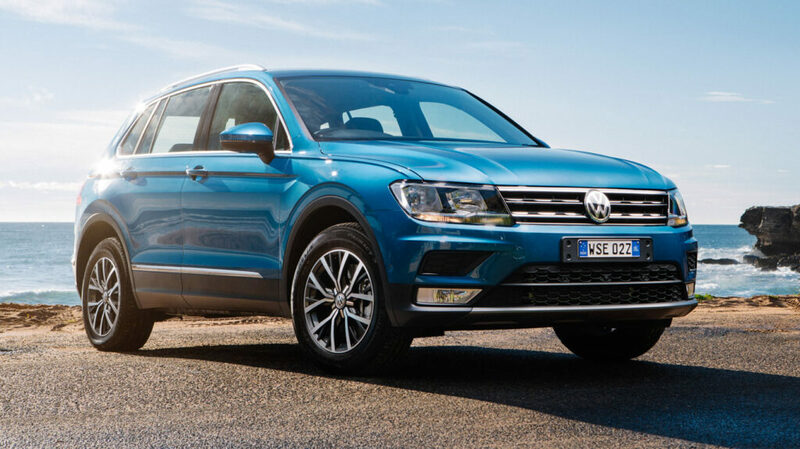 The VW Tiguan has ISO Fix in both the outer rear seats, they are within plastic guides which made child seat installation easier. The top tether points are on the back of all three rear seats and easily reachable through the boot. The rear seats are simple and flat, allowing for three child seats to be installed, but the seat base was only just wide enough to accommodate the models we used so if you intend to fit three child seats you'll definitely need to check your chosen models will fit across the Tiguan during your test drive. I fitted the three child seats using the seatbelts and top tethers but you would very comfortably install two child seats in the outer seats using the ISO Fix and top tethers and I was able to sit in-between them. (I'm 162cm). I fitted the Britax Maxi Guard Pro forward-facing booster seat in the central seat and the Britax Unity infant capsule rear facing and Britax Graphene rear facing in each of the outer seats all using seatbelts. 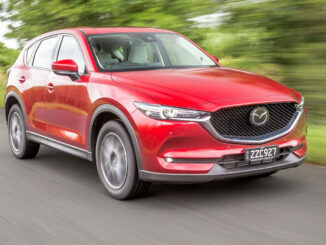 I was surprised to find I could fit three child seats across the back row of the Mazda CX-5! I didn’t think it would be big enough but I got a Mountain Buggy Protect infant capsule on one side, a Britax Unity infant capsule on the other and a Britax Maxi Guard Pro booster seat in the central seat. 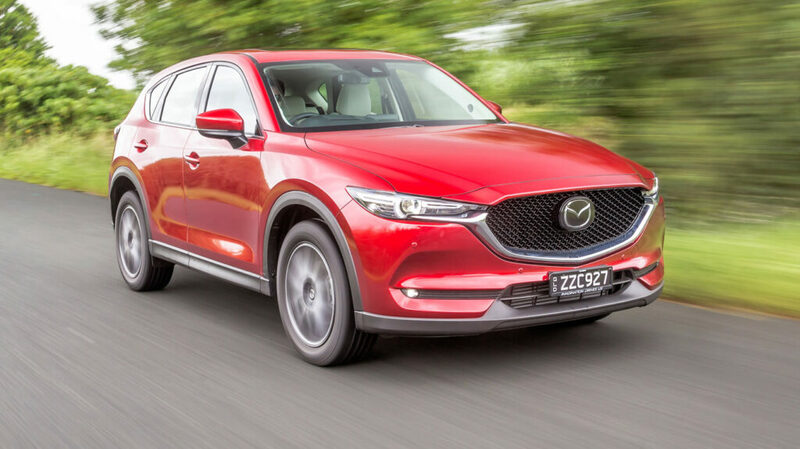 The CX-5 has three top tether points in the back of the seat backs that are easily accessible from the boot, and all three seat backs fold forward individually too. There is ISO Fix in the two outer seats; they are concealed within slits in the leather seat upholstery. I found them a little tricky to connect to as I was navigating the seat leather too but with some fiddling, they all connected fine. I couldn’t use the ISO Fix when fitting three child seats as I needed to bring the child seats further out to the edges of the seats so I used the seat belts with the top tethers, which worked really well. 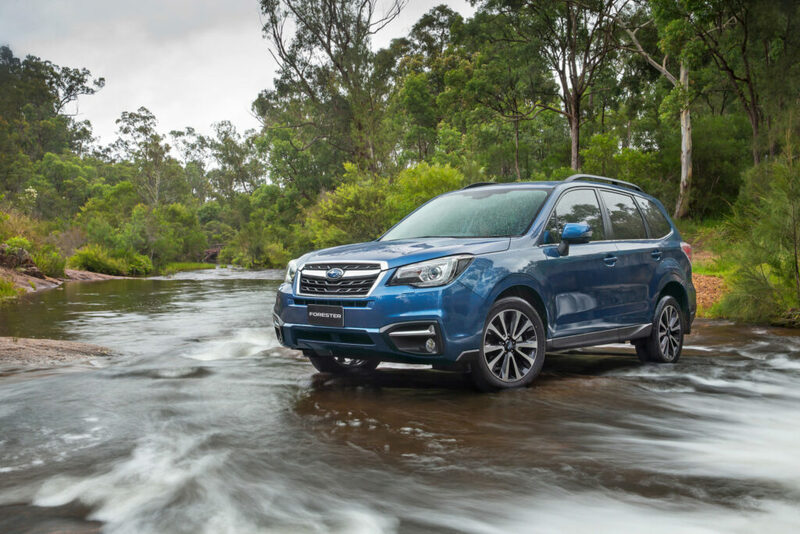 The Subaru Forester fitted three child seats easily in the back seats: The Britax Maxi Guard Pro in the central seat, with the rear facing Britax Graphene on one side and Britax Unity infant capsule on the other side. There are three top tethers in the seat backs that are easily accessible through the boot and within clearly labelled, plastic guides. The ISOFix are in the two outer rear seats, and although they are not within plastic guides and are concealed behind flaps of seat fabric, I still found them easy to connect to. With rear-facing child seats installed, the legroom was still really good in the front and a 184cm driver could still sit in front of them. I found I could install three child seats in the rear seats of the Subaru Outback. There are ISOFix points in both the outer seats and top tether points in the backs of all three seats. They were easy to connect to and apart from the central seatbelt coming from the ceiling it was an easy fit. With the Britax Graphene, Maxi Guard Pro and Kid Guard Pro across the rear seats it was a tight fit and I found that with just the two outer child seats installed there was enough room for me to sit between them. Legroom was fantastic, and in front of the rear-facing Graphene child seat the front passenger has 23cm of knee room! I was amazed there was so much room with such a large boot as well. Three child seats fitted across the back seats of the Renault Koleos, there are three top tether points and two ISOFix points. We did have trouble with the ISOFix not working on one side of both cars. 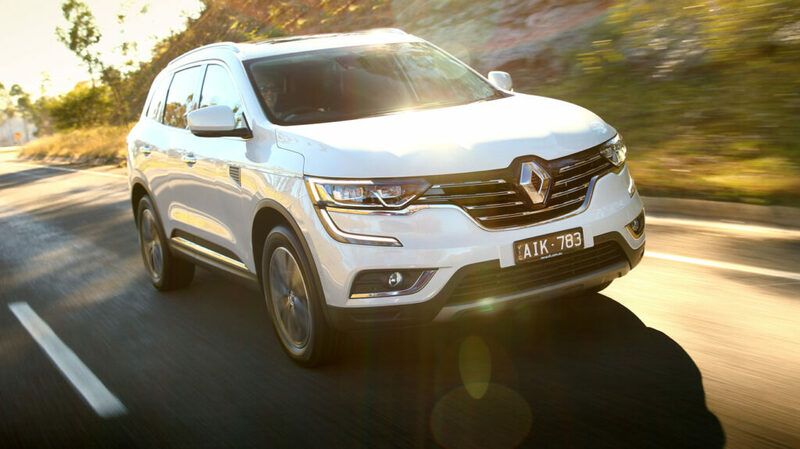 Something we have highlighted to Renault and they seem to have rectified on other Koleos models we have driven since, but still well worth double-checking if you are looking to buy one. Apart from the ISOFix problem, the rest of the seat installation was simple. We installed the Infasecure Kompressor4 rear facing in one outer seat and the Mountain Buggy Protect infant capsule in the other outer seat with the Infasecure Foldaway booster seat in the central seat. The rear seats of the Honda CR-V has ISO Fix in both the outer seats, they were behind the seat fabric but easy to connect to. There are top tether points for all three rear seats situated in the ceiling above the boot door. I thought it was a strange place for them as the straps will all be in front of the rear window, greatly affecting the driver's visibility. The central seatbelt is also in the ceiling adding to this problem. 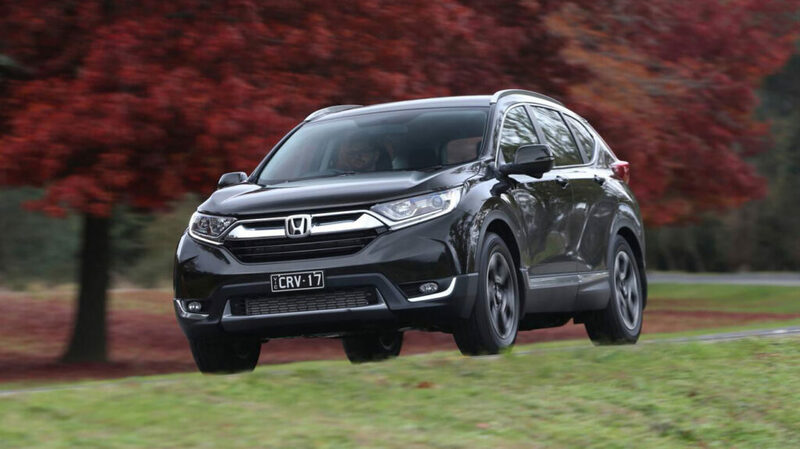 There is a 7 seater option of Honda CR-V and if the top tether straps fasten in the same place then they will all be in the rear passengers' faces. Definitely, something to check if you are looking at the 7 seater option. 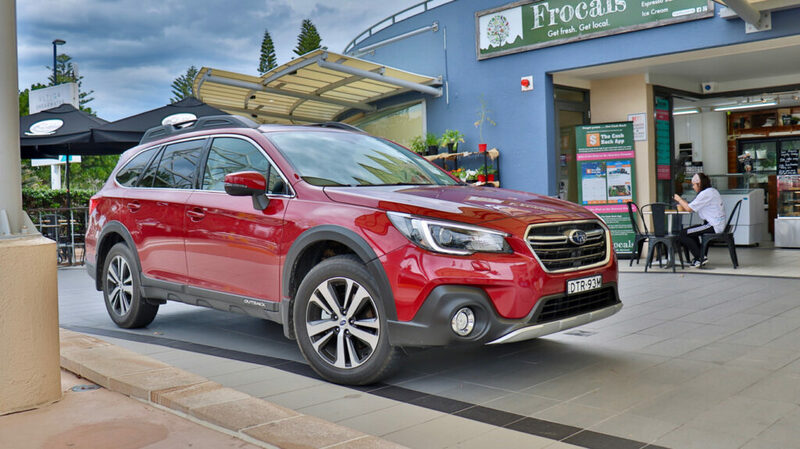 I could easily fit three child seats, a rear-facing Mountain Buggy infant capsule and a forward facing Infasecure Kompressor 4 in the outer seats plus a forward facing Infasecure foldaway booster seat in the central seat. I did find the buckle for the central seat seatbelt was far underneath the booster seat base, which would be really hard to do up with the child in the booster seat. It would be better to have a booster seat that is fixed in place using the seatbelt and then has its own buckle built in, to overcome this problem. There is so much legroom in this car! I think any size driver or passenger could sit in front of the rear facing child seat without any problems! 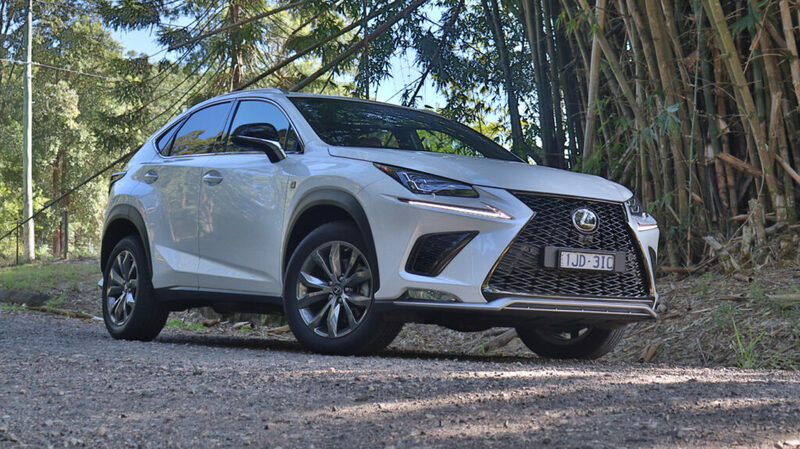 I was very surprised that, at a squeeze, I could fit three child seats across the back row of the Lexus NX300! The Britax Graphene child seat, the Britax Maxi Guard Pro and the Britax Kid Guard Pro forward facing. It was a very tight squeeze and was made even more difficult because the central seatbelt is a two buckle system with one halfway underneath the outer child seat, making it really difficult to connect to. There are ISOFix points in each of the outer seats, and top tethers in all three seats. The outer two seats have top tethers in their seatbacks and the central seats top tether is in the ceiling along with the central seatbelt. I struggled with the central seatbelt as the first buckle for it is halfway underneath the outer seat base which made installing the seats really tricky! I managed to fit the three Britax child seats using the seatbelts rather than ISOFix but they were really squeezed in. It was a much better fit with just two child seats installed using the ISOFix, there was a lot more space around the seats and they weren't cramped! I think realistically it is a two child-seat car and three on rare occasions. 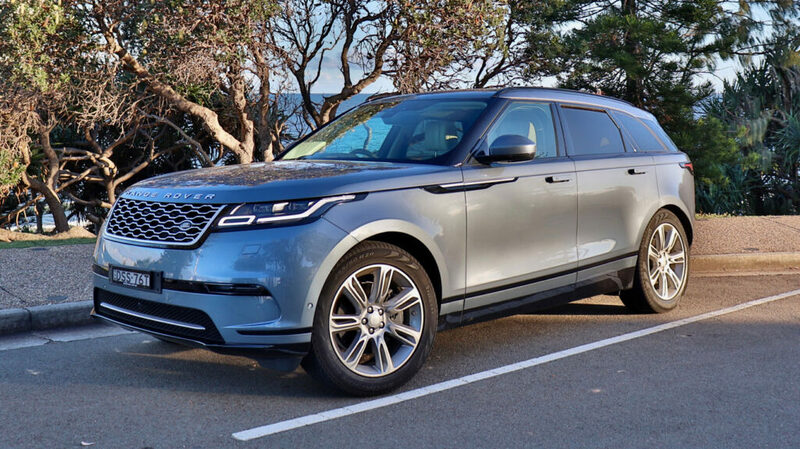 I could easily install three child seats in the back of the Range Rover Velar! There are ISOFix points in the two outer seats within plastic guides so they were easy to connect to and top tether points across the back of all three rear seats. I fitted the Mountain Buggy Protect infant capsule and the Britax Graphene (rear facing) in each of the outer seats using the ISOFix and the Britax Maxi Guard Pro (forward facing) in the central seat. It was fantastic to be able to use the ISOFix points and have three seats installed, as usually, you have to move the outer child seats further outwards and use the seatbelts. It was a little tricky reaching the top tether points through the boot as the boot is so long, so it was easier to bring the seatbacks forward to reach them. 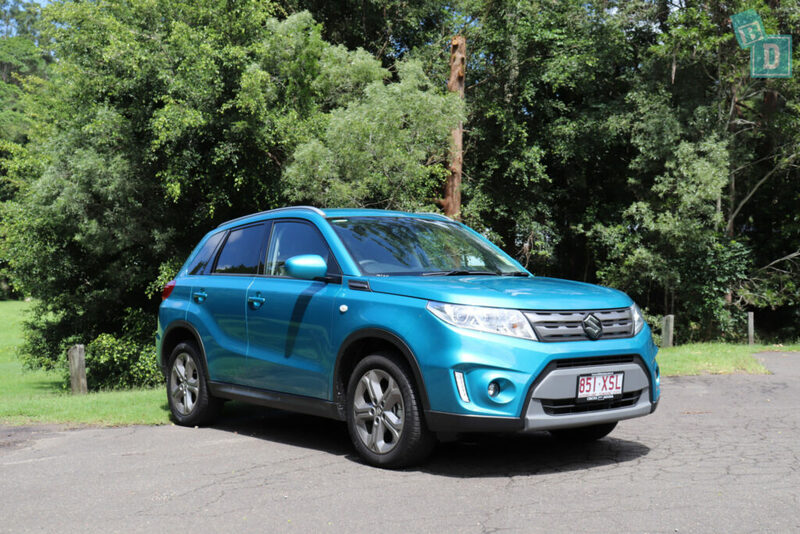 The Suzuki Vitara's rear seats are generously sized and flat, which meant they surprisingly held three child seats at a squeeze! I could install the Britax Unity infant capsule and Britax Graphene both rear facing in the outer two seats and the Britax Maxi Guard Pro forward facing in the central seat. There are ISO Fix in both outer rear seats and top tether in the seatbacks of all three, which are easily accessible through the boot. With rear-facing child seats installed, the legroom in the front is also surprisingly good and enough to fit a 186cm driver in! 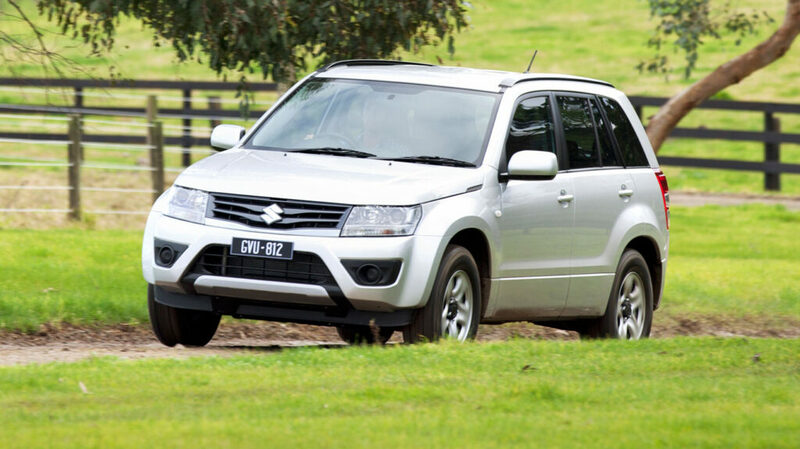 The Suzuki Grand Vitara seats are comfortable and although there is some shaping to the seatbacks and bases, their basic nature worked in our favour and I could fit three child seats across the rear! I was very surprised in a small car like this. I could fit the Britax Unity infant capsule on one side and the Britax Graphene (rear facing) on the other with the forward-facing Britax Maxi Guard Pro in the central seat. It was a squeeze and you do need to level out the two outer seats to make their passengers comfortable. There are ISO Fix points in the two outer rear seats and top tether for all three rear seats. The connection bars for all of the top tethers were just bare metal bars and had no labelling at all. 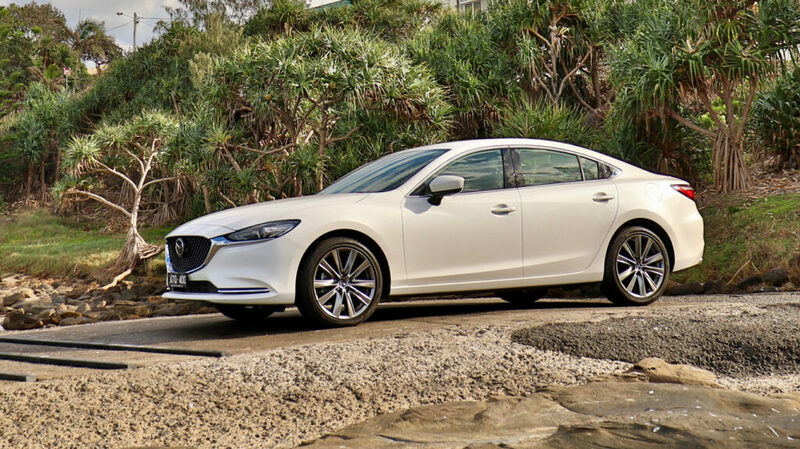 It was fine for the ISO Fix, which were situated between the seat base and seat backs, but the top tether points were right at the bottom of the seatbacks and looked more like handles for bringing the rear seats forward rather than top tether points. To add to the confusion there were three black plastic hooks at the top of the rear seatbacks (also unlabelled) that were connectors for the cargo shelf. I would hope that no one would get them confused but I'm sure it is possible. 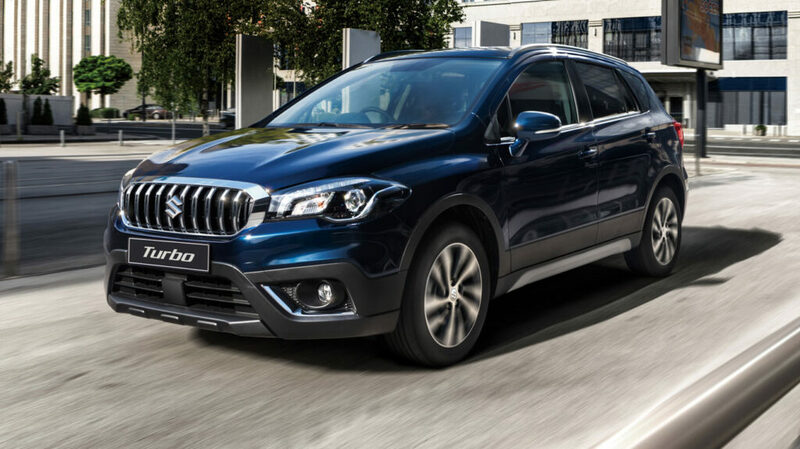 I was very surprised I managed to squeeze three child seats across the back row of the Suzuki S-Cross! I did this with the Britax Graphene (rear facing) and the Britax Unity capsule, plus the Britax Maxi Guard Pro in the middle. You would definitely need to check your three child seats fit before buying them if you need this functionality. There are three top tether points across the backrests of the rear seats and ISO Fix in the two outer seat bases. They are within plastic guides and were all very easy to connect to. Two child seats fitted really nicely into the S-Cross rear outer seats using the ISO Fix with the top tether.